Racquet sports are where it all started for David Lloyd Clubs in the United Kingdom, so it’s no surprise that we offer exceptional racquets facilities to our members. 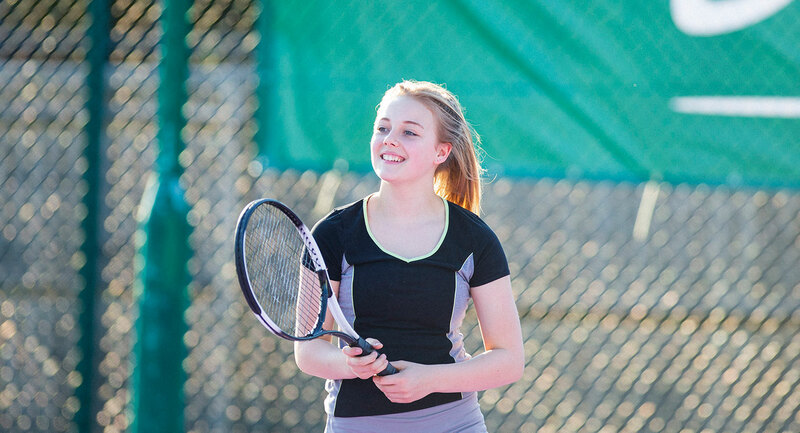 With more than 30 years of experience our aim is to give our members of all ages, across the UK and Europe, first-rate coaching as well as amazing courts to play on. The tennis facilities across our clubs are second to none. We’ve got the world’s largest team of qualified coaches, as well as 850 match-quality courts across Europe and the UK. Whatever your age or ability you can learn to play tennis in our clubs with our brilliant coaches. And, if you’re already a keen tennis player, our coaches can help you improve everything from your serve to your movement around the court, plus they can set up matches against other members. The fun isn’t just on the court, our clubs have vibrant communities of tennis-lovers who socialise on and off the courts with competitions, weekly games and social events. If you like fast-paced games, then badminton could be the game for you. Tactics, timing and being quick on your feet are all skills you will gain whilst playing badminton. Our expert coaches will take you from total to beginner to regular winner in no time. Every game has two or four players, so it’s a great way to keep fit, in a fun and sociable way. So whether you already love the game or are keen to give it a try, you’re in the right place to get started. If you’ve got quick reflexes and love some seriously healthy competition, squash is the sport for you. It will improve your speed, your strength and your reaction time, and it’s always sociable – even when the competition is intense. With the very best specialist squash coaches you’ll quickly start seeing your technique improve, plus they’ll help you understand the game, and boost your confidence. Whether you want to improve your technique, build your confidence or focus on one specific part of your game, you’ll definitely benefit from coaching. Coaching in our clubs is second to none and can provide one-to-one lessons or group sessions for players of all ages. We run a range of programmes for adults, teenagers and children that can help you learn the game, develop your stamina and build your confidence.